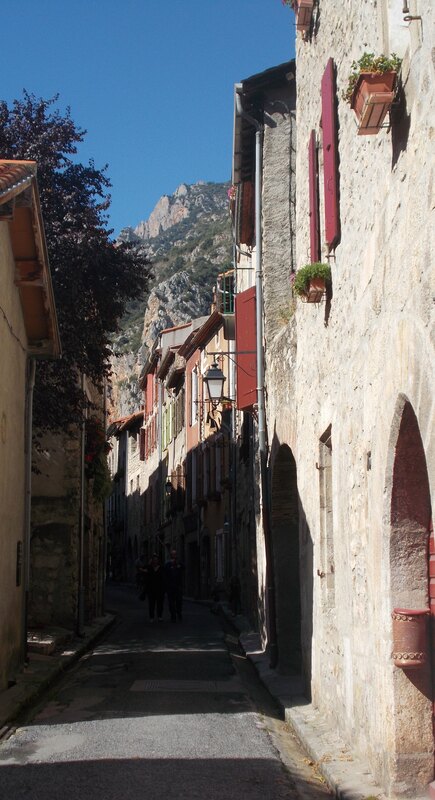 Yesterday, I took the 1€ bus to Villefranche-de-Conflent, one of ‘Les Plus Beaux Villages de France’ with two of my housemates. According to my guidebook, this is one of the top places to visit in the region and I had been itching to go there for the last few weeks while the weather was still good. I intended to go in my first week, but we missed the bus and ended up going to Banyuls-sur-Mer instead. 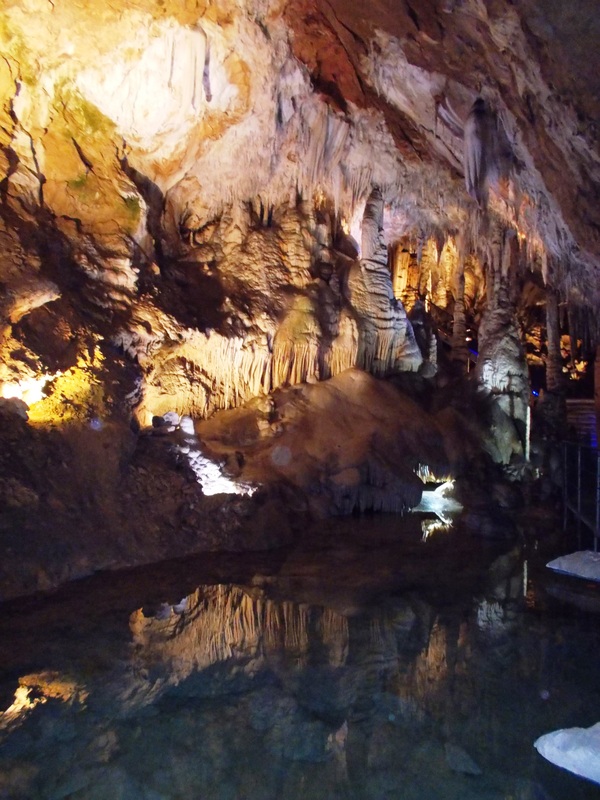 Despite being such a small town, there is surprisingly a lot of things to do! As it was at the end of the tourist season, the village was not too busy but most places were still open and it was a beautiful sunny day. In order to enter Villefranche, you have to walk over this river to enter. 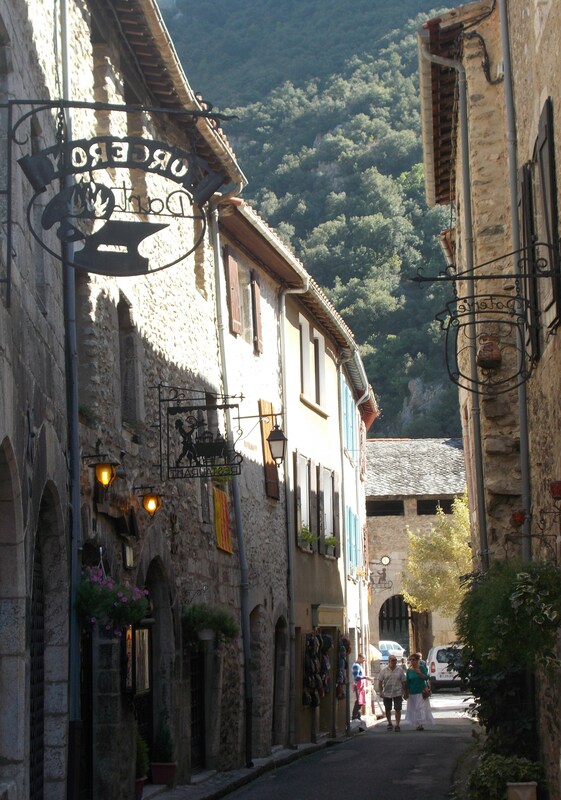 The village is a medieval fortress, founded in the 11th century and was fortified because of its strategic position in a region which changed hands between the French and Spanish on numerous occasions. It is also famous for its fortifications by Vauban in the 17th century. We went to the Information centre, and the woman there was very helpful. She gave us an itinerary of things we could do, but she was very ambitious! She suggested we did the Remparts (1 hour), the Château (2 hours) and Les Grandes Canalettes (1 hour) all in one afternoon as well as squeezing in lunch. 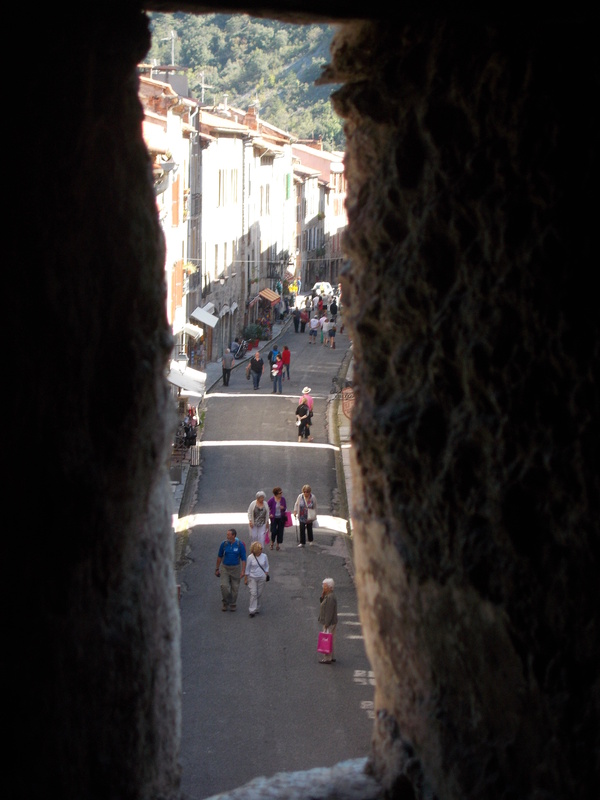 We decided to visit the Remparts, which is basically a walk around the city walls and then Les Grandes Canalettes which is a natural cave, just a 5 minute walk outside of Villefranche (10€, or discounted entry with receipt of the Remparts ticket). Hopefully we will go back and visit the Château another time, as that would give a great view over Villefranche, as the Château is a steep 300-step climb. The Remparts de la cité de Villefranche, which is basically a walk around the city walls, only took about an hour, it gave some lovely views and cost about 2€. It was quite confusing to know which way was the right direction though as there were so many different corridors, it was easy to get lost despite that there were arrows. Although we walked a lot, I doubt we saw all of the walls, but we didn’t want to go looking in case of getting lost! 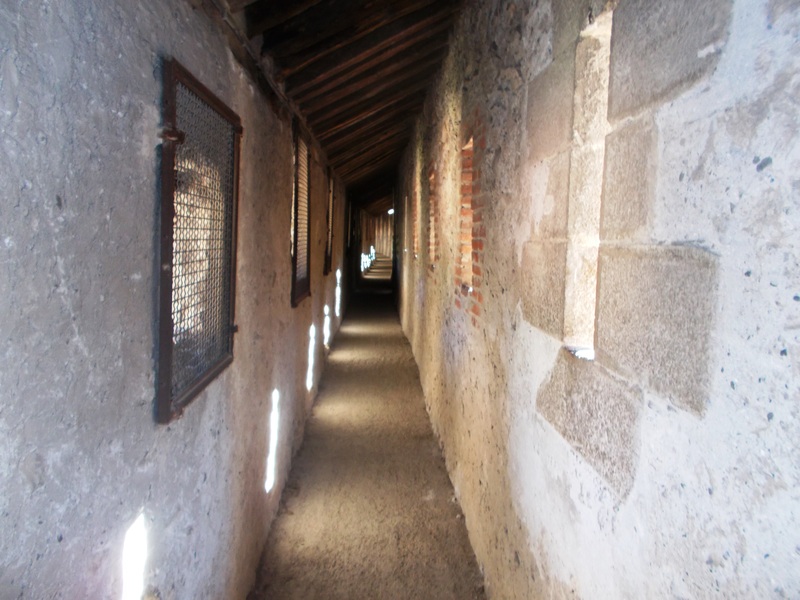 Inside the Remparts, a bit creepy! 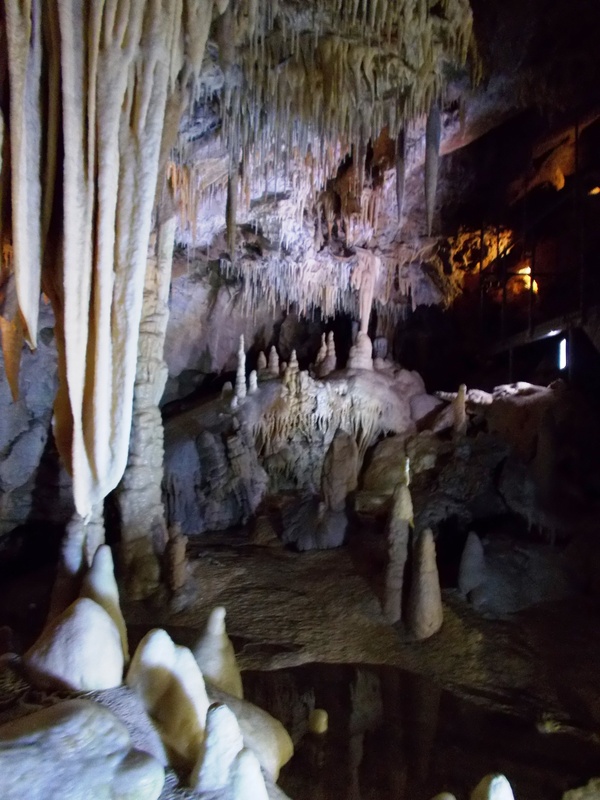 Afterwards we had lunch in one of the few cafés inside the village before heading off to Les Grandes Canalettes which is one of the three natural caves (grotte) that can be found in this area. 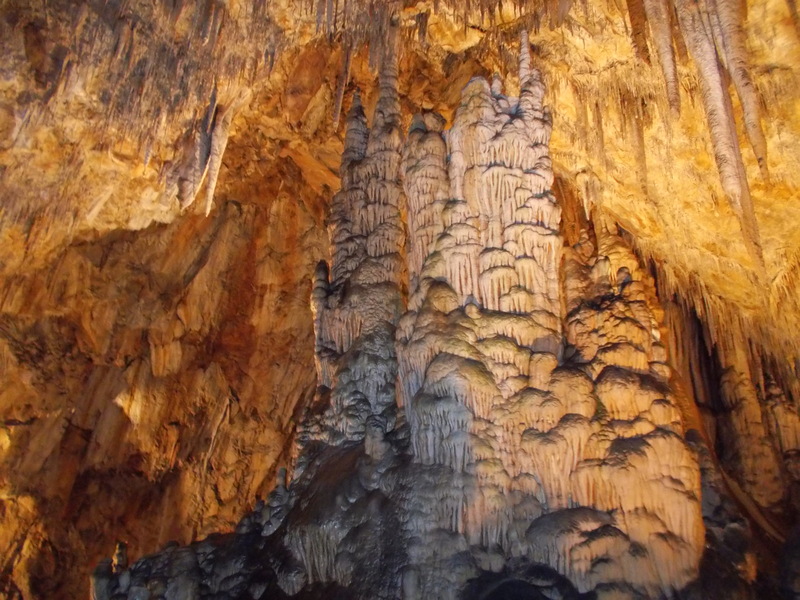 I haven’t been inside a cave like this since I was 7 when I was in Kefalonia. 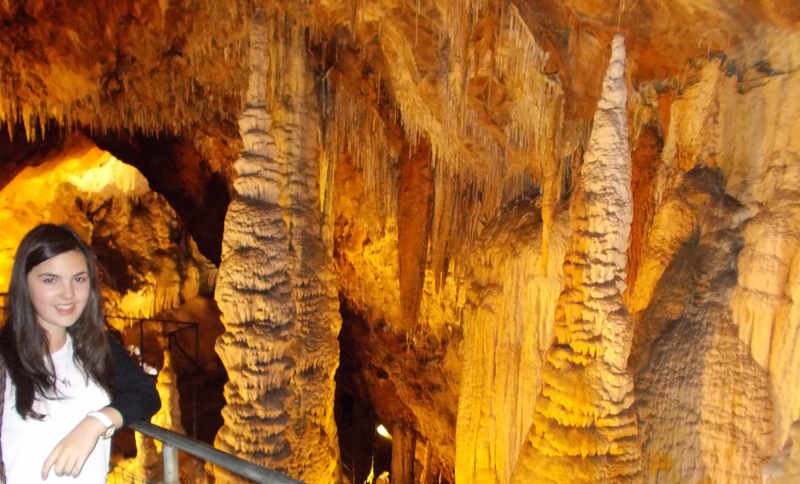 It was very impressive and showed many fascinating natural formations. The cave was very empty as it was the end of tourist season and it was great to appreciate the silence and hear the movement of water inside. After the cave, we had about an hour or so to wait for the bus and we ventured into a pâtisserie to see if we could find anything we liked. We found a few interesting things so bought a few to sample. I am so glad we did, because I looked them up online and some of the things we chose were local pâtisserie from the region – woo! The first one we tried was a ‘rousquille.’ It is a sweet-tasting biscuit, ring-shaped and has soft and crumbly pastry often covered with a layer of sugar icing. We also had bunyols, and I cannot really explain it as all I can find about it online is in Catalan, but they are small, fried dough balls coated in sugar and have an orange flavour to them. We also tried a type of biscuit with almonds and chocolate that I personally think was the best, however I do not remember the name 😦 I must go back to find out! 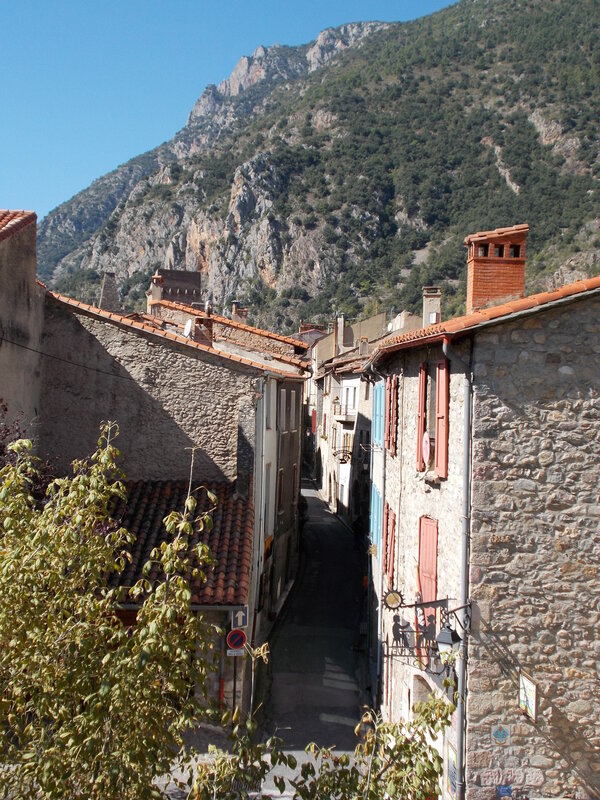 Villefranche-de-Conflent is a beautiful little village with lots to offer. Definately recommend visiting if you find yourself in this region! I am not really sure about what I am doing next weekend. There are so many things still on my bucket list and I am torn between many places! Luckily I have managed to have a productive weekend, and squeezed in writing a French essay for one of my classes for this week and even wrote 1,600 words for my first Journal de Bord entry for Sheffield. 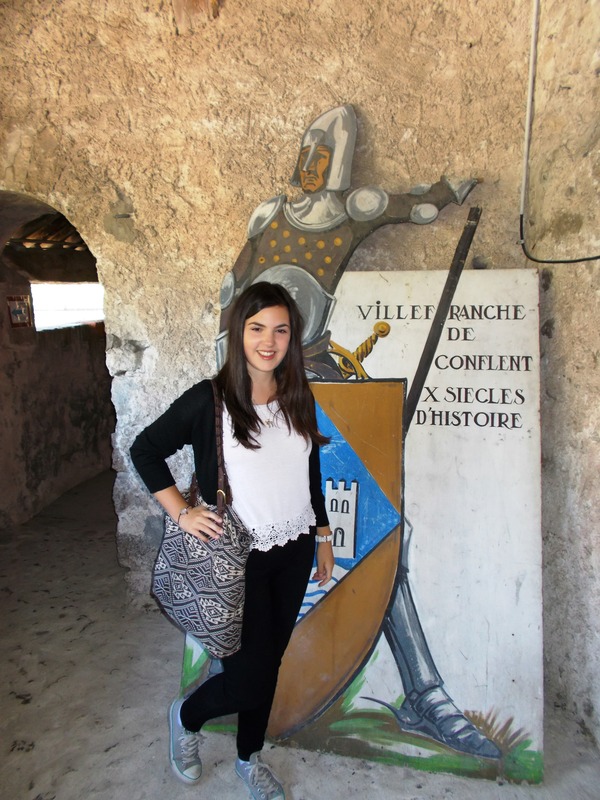 As part of our Year Abroad assessment from The University of Sheffield, I have to write four online diary entries in French which cover what I am doing on my Year Abroad in regards to improving my French, fun things I am doing and local events. There is no word limit so you can waffle on for ages. However the more you write the better it is later, as we have an assessed 2,000 word French essay due in the beginning of March called the Rapport de Séjour – a report summing up everything I have done this semester, in French and we need to refer to what we spoke about in the Journal. Although, 1,600 words already for 1 month, I wonder how I will manage to sum up 5 months in 2,000 words?! The deadline for my first entry is in two weeks, I still have a lot of time to write it, but in two weeks I am going to Nimes and I don’t really want to be worried about deadlines then! ← Just popping over to Spain for the day: Girona!